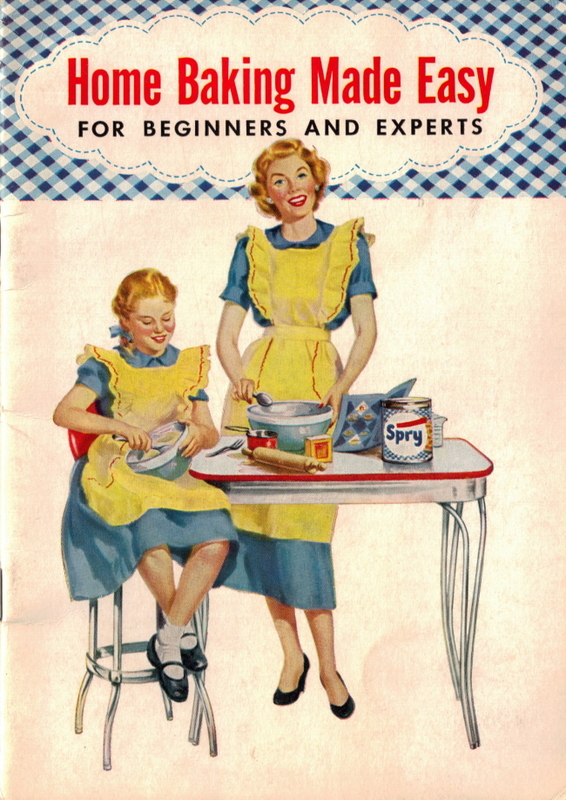 This vintage recipe booklet was published by Lever Brothers Company in 1953 and is titled "Home Baking Made Easy - For Beginners & Experts". This cookbook includes recipes for: Pastry, Cakes, Frostings, Cookies, Quick Breads as well as several helpful hints. Each section is available to review by clicking one of the title links below...you'll be able to browse through a complete re-typed format as well as images of all the pages. The cookbook is 25 pages and has been formatted per section (so all frostings are on one page, all Yellow Cakes on one page, etc. ).